Feast on dishes that are simple to prepare, elegant to serve, and feature all types of wild game, fish, wild plants, berries, and nuts. 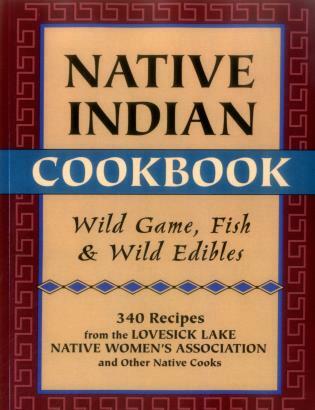 This is the only book of its kind--presenting the culinary heritage of the North American Native Peoples in a practical way for the modern cook. Recipes include Wild Goose with Apple Raisin Stuffing, Wild Turkey with Oyster Stuffing, Salmon Rice Salad, Mad Bear's Elk Stew, Black Walnut Soufflé, Braised Venison and Vegetables, and dozens of others. Much of the material for the book was provided by the Lovesick Lake Native Women's Association. The research and information gathered from an extensive 2-year oral history project formed the backbone for this book. Also includes the collections received from the Cherokee in North Carolina and groups in the Southwest and Pacific Northwest.